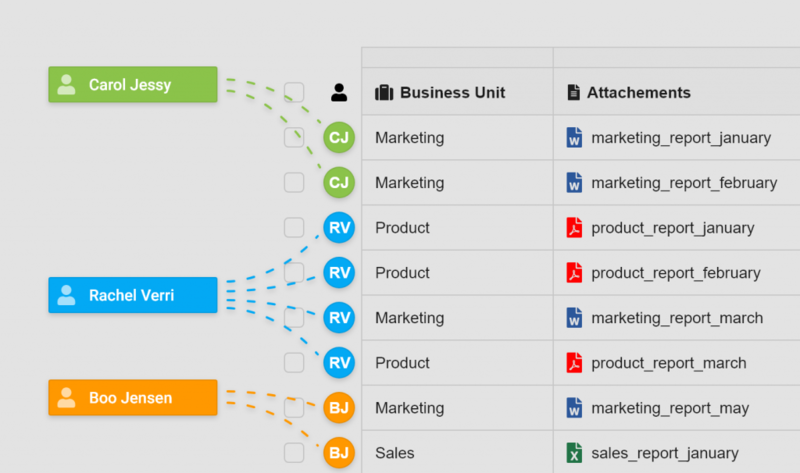 Create a Table , Share and Modify It Together. Simple and Efficient! 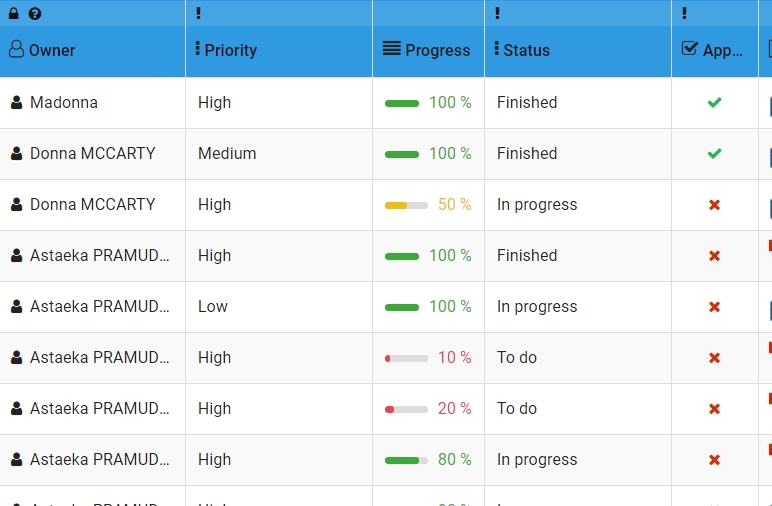 Structure all your data within Tables by offering selective visibility to each people involved in the project. Discover how RowShare features can help you meet your objectives and facilitate collaboration. 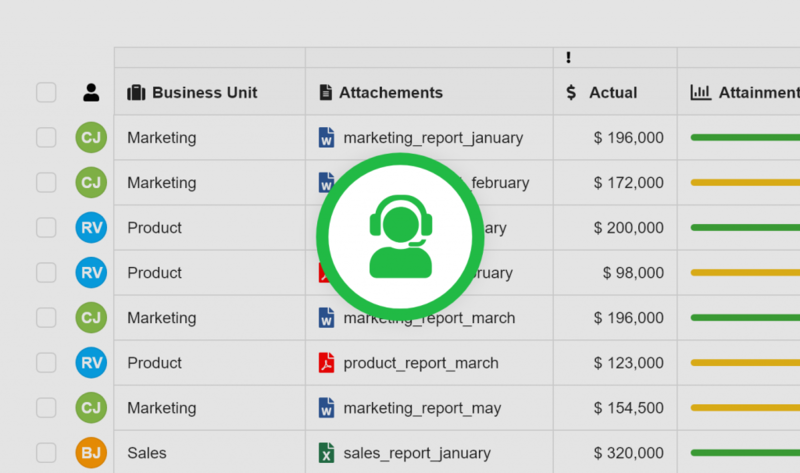 RowShare offers a catalog of ready-to-use table templates, whether you’re following up on the progression of a project, setting up inventory, editing an employee list or tackling many other common tasks. Think of the catalog as a source of inspiration! You can copy, paste and then edit an existing template, or create your own. RowShare’s collaborative tables are made for sharing! The tables are organized to facilitate collaborative work. 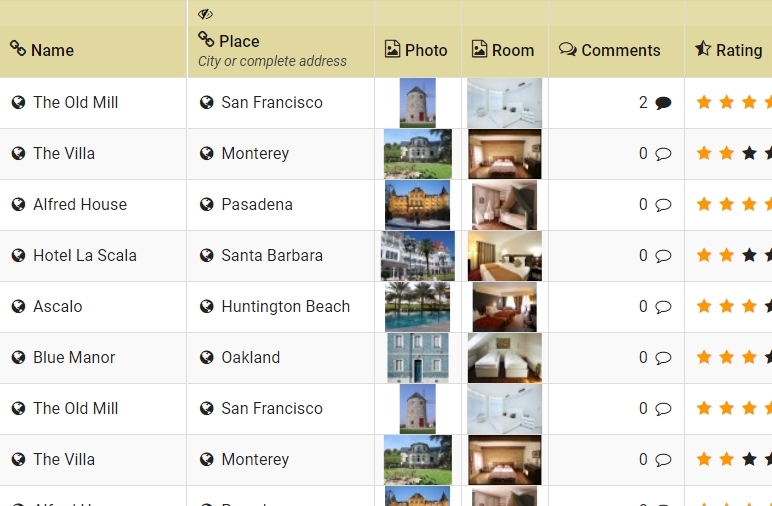 Each user can complete the table with pictures, documents, and other content. The focus is helping your teams work together for increased productivity. Thanks to our collaborative tool, multiple users can work simultaneously on the same table. At the same time, you have complete control over the way you share your data. Not only can you share your tables with anyone you want, you can also choose exactly which rows you want to share. Complete and simple access control. Feeling limited by text and numbers? RowShare offers much more to make your tables useful and lively. Here’s a selection of our available column types. Automatically generate contracts, certificates, listings, invoices, quotes and more. 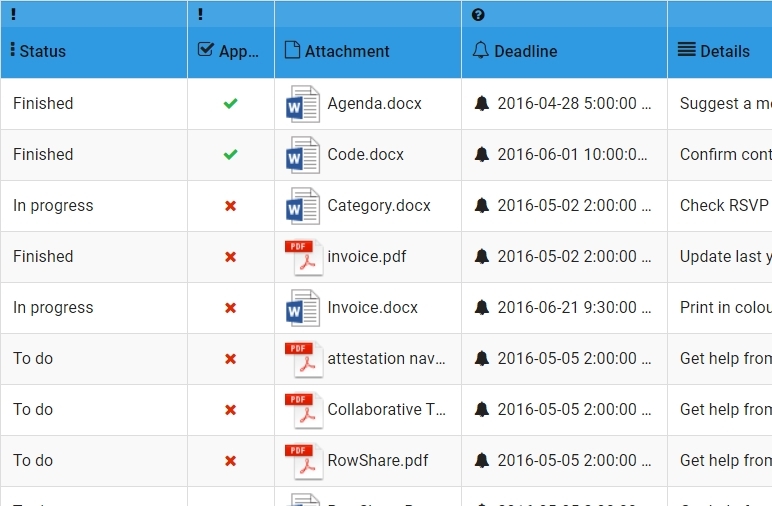 All your documents can be automatically created from your personalized templates and the information stored in your RowShare tables. No more copy-paste mistakes! Make use of RowShare’s many advanced features in your tables, notably automatically calculated values. RowShare’s “calculated columns” contain formulas based on values in other cells in the same row. Add a “calculated value” column and specify the formula in the column’s parameters. Yes, this means that the formula will always be the same in a specific column. You can sign in to RowShare with your Google or Microsoft business account (Azure Active Directory, Office 365). 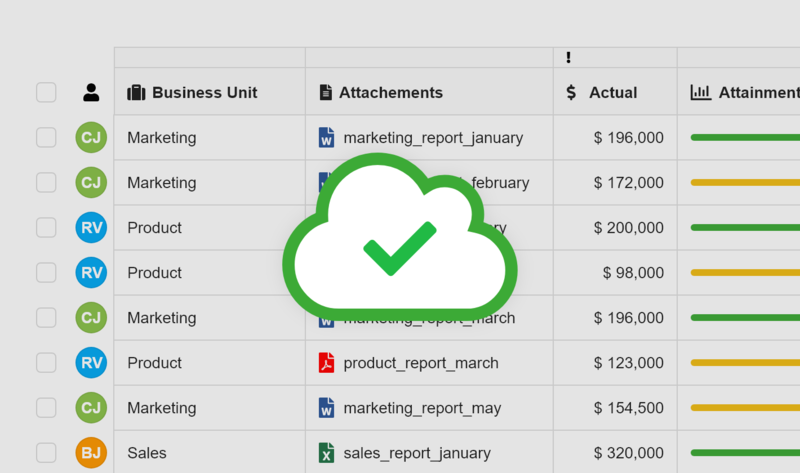 Create tables with thousands of rows, including large attachments. Do you need specific integration? Thanks to Zapier, RowShare integrates many other web services including Office 365, Gmail, Trello, Salesforce, Slack, Facebook, Google Drive and WordPress. 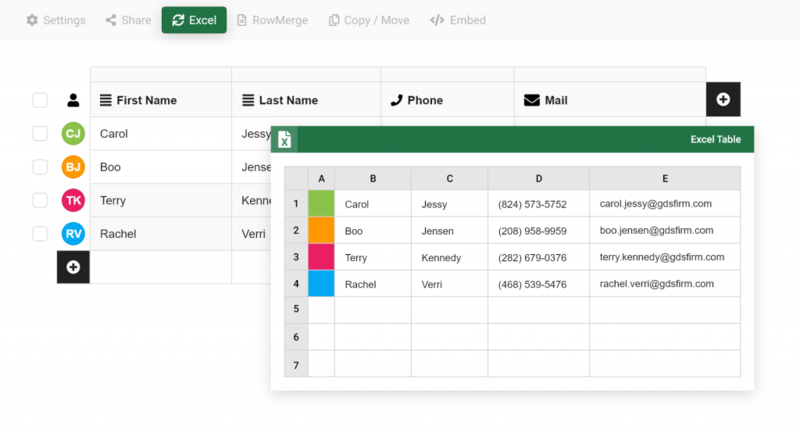 RowShare and Excel are perfectly complementary. 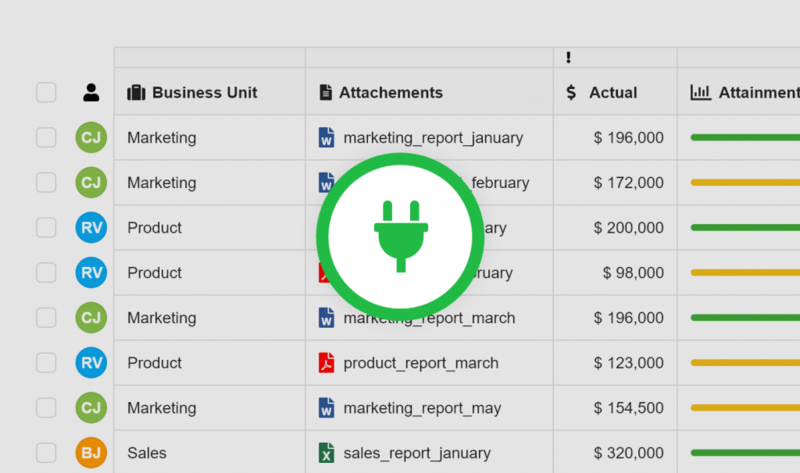 With RowShare, you get an easy-to-use web interface that offers automatic access rights, notifications, and other useful features, and you can access the same tables in Excel for the analysis and visual representation of your data. A real exchange of power. RowShare can be extended through an API (programming interface). You can do this yourself if you have some programming experience or our development team is available to integrate your required extensions. Our team can customize a template for you or we can schedule a specific training session on RowShare basics and best practices. A free session is offered to teams of 50 users or more. This can be added as an option for smaller teams. Premium support: our team will respond within one working day and will make every effort to solve your problem as quickly as possible. With RowShare Business, you and your team get privileged access to your collaborative tables. Group them by folders. Only members of your organization will have access to this secure area. And no need to remember to manually save your modifications: every line that you and your team edit will be saved automatically. Browse your collaborative workspace to find your tables and the tables others have shared with you, with no table limit. Secure your RowShare tables and decide precisely who can view and edit them. Define groups of users, and control precisely who can access what, table by table or row by row. Handle newcomers, departures, and role changes. Let managers benefit from the sum of the access rights of their team. They can see or edit anything their team has access to.